My name is Amanda Monique Jones, but I am known as “Monique”. 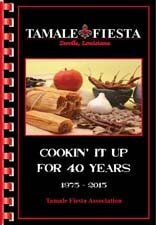 I am the 31 st Annual Zwolle Tamale Fiesta Queen. I am the 18 year old daughter of Eddie and Monica Jones. My paternal grandparents are Eddie and Sue Jones of Florien La. My maternal grandparents are Mackie and Barbara Thaxton of Fisher La. I have two brothers, Brady 15, and Brennan 6. I am a 2006 graduate of Florien High School. I was Valedictorian, student of the year, Miss F.H.S, and was inducted into Florien High School Hall of Fame. I was very active in my school activities. I enjoyed the clubs and organizations that I was a part of such as; Beta, Student Council, SADD and Peer Leader. I also enjoyed cheering throughout my high school career grades 7-12. I am currently enrolled at Northwestern State University in Natchitoches La where I am a freshmen and majoring in secondary education. I’m a member of Antioch Baptist Church in Florien La. I am an active member of the College and Career class at my church. I enjoy teaching the young children (Kindergarten -1 st Grade) on Sunday nights. My hobbies are: Shopping, reading, camping, playing yahtzee with my family, teaching my Sunday night class at church, and spending quality time with family and friends . I would like to thank Randy and Mona Sandel of Sabine Manufactured Homes for sponsoring me in the Tamale Fiesta pageant. I would also like to thank my family for helping me prepare for that big night. 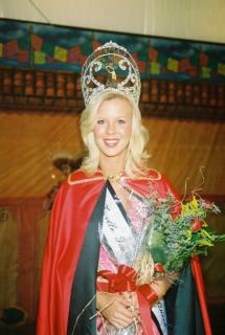 I am proud to be representing the Tamale Fiesta and the town of Zwolle as the 31 st Annual Miss Zwolle Tamale Fiesta Queen.